We have recently made the "Check for Updates" feature live on our server side for RollBack Rx Pro. This feature will check your current installed version with the latest public build available. 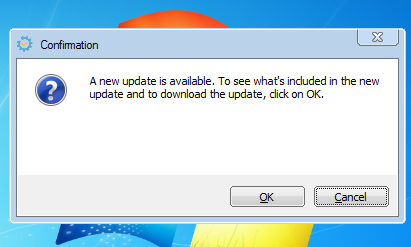 If you are using version 10.x or earlier releases of version 11, you will receive this notification when you run "check for updates"
You may have already received a popup notification similar to the one below if you've enabled "Automatically Check for Updates"
(1) Is an update always required? No, If everything has been working fine so far on your current install then this is just optional. There are always benefits of getting a new build installed as new builds would always have better fault tolerance and stability, plus some new features. You can check the releases notes for RollBack Rx Pro HERE. (2) Do I lose my snapshots if I update? Yes. An update to a new version (i.e version 10 > 11) or a build update (version 11.1 > 11.2) would require an uninstall/reinstall of RollBack Rx Pro. An uninstall removes all your saved snapshot except for the one you choose as the final system state after the uninstall. (3) Why won't my license key work on the new build? You will need to have a proper license key to work with the latest version. (4) Can I turn off this notification during bootup? Yes. Open RollBack Rx Pro, go to Help > Check for Updates and uncheck "automatically check for updates"
Great news! We’ve just released a new build update (version 10.7) for both RollBack Rx and Reboot Restore Rx that addresses some Windows 10 compatibility issue as well as implementing new features and fixing other bugs and issues. Here are the changes that apply to RollBack RX Pro, Home & Server Edition and Reboot Restore RX Pro and freeware. Mask Product ID on the Tray Icon About window. For any issues with the new builds or for any other issues, feel free to chat with us or submit a ticket. The issue has been resolved on the latest builds (May 2017). 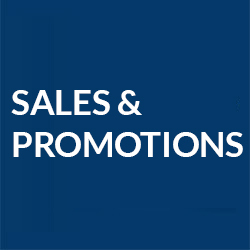 They are now available on the Downloads page. There is currently a compatibility issue with out-of-the-box and fresh installs of Windows 10 build 1607 (Anniversary Update) and RollBack Rx/Reboot Restore Rx (Freeware and Pro Editions) causing a non-bootable state. 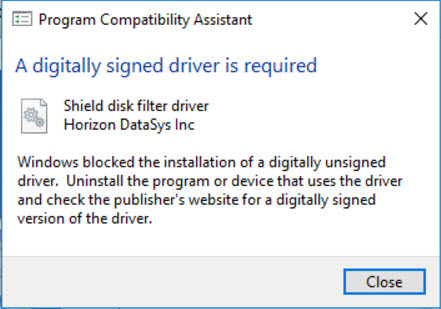 During setup, users would see a Program Compatibility Assistant giving an error that a digitally signed driver is required. If a reboot is done to finish the installation, it would boot up to RollBack Rx/Reboot Restore Rx subconsole and then will have a Windows Blue screen error. Unfortunately, the error would persist even after uninstalling our software from the subconsole. (1) If you get the Program Compatibility Assistant error during installation, DO NOT restart the machine (or uncheck restart now) when the installation finished. Go to Control Panel > Program > Uninstall Program and uninstall the software. We are currently working on a version build to fix the above issue and will be posting on our support portal and social media once it's released. More than 400 million devices are running Windows 10 in 192 countries across the world. As support dwindles for the previous operating systems those numbers are going to continue to grow as more and more users will adopt Microsoft’s “last OS”. This means we need to keep up, and we’re working hard to do just that. Microsoft brought over a feature from their tablets and iterations of Windows 8/8.1 called Secure Boot, which relies on UEFI specified boot functionality to prevent malicious software or unauthorized operating systems from loading during the system start-up process. This essentially clamps down on applications which try and edit the boot record or make unauthorized changes during boot-up. Our software requires a change to the boot record in order to run its restore before Windows loads, as well as gives users the ability to load into the subsystem. RollBack Rx Home and Professional as well as Reboot Restore Rx and Reboot Restore Rx Professional do have Authenticode for Windows 10 Secure Boot. Our software works on most of the Windows 10 systems with Secure Boot enabled. However, some users are still reporting problems – why? Secure Boot is a feature – a software code – in the UEFI BIOS. Since it is a software it could have a bug. Some PC manufacturer’s own Secure Boot code has bugs in it, making it incompatible with Microsoft’s own Authenticode. This is what’s behind the problems we’ve seen so far. Culprits so far include HP, Dell, and Lenovo. While we’re going to continue to work to get our software running cleanly through any manufacturer, it’s also a matter of those manufacturers getting their own code up to date. If you are experiencing a problem with our software being flagged as not digitally signed this means you are using one of those bugged versions. In this case, please send in a support ticket at support.horizondatasys.com and let us know the manufacturer and the make/model of your PC. Afterwards, please uninstall our software, then disable SecureBoot, then reinstall our software. We will continue to work on our end to make our software run clean and efficient on those machines, just as it does on hundreds of thousands of others.